In the previous notebook, we saw Gaussian Naive Bayes classification of the digits. Here we saw K-neighbors classification of the digits. We’ve also seen support vector machine classification of digits. 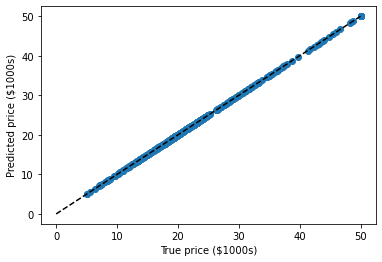 Now that we have these validation tools in place, we can ask quantitatively which of the three estimators works best for the digits dataset. c:python370_x64libsite-packagessklearnsvmbase.py:922: ConvergenceWarning: Liblinear failed to converge, increase the number of iterations. Cross-validation consists in repetively splitting the data in pairs of train and test sets, called ‘folds’. Scikit-learn comes with a function to automatically compute score on all these folds. Here we do ‘K-fold’ with k=5. 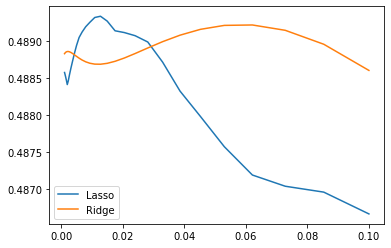 Consider regularized linear models, such as Ridge Regression, which uses regularlization, and Lasso Regression, which uses regularization. Choosing their regularization parameter is important. c:python370_x64libsite-packagessklearnmodel_selection_split.py:1943: FutureWarning: You should specify a value for 'cv' instead of relying on the default value. The default value will change from 3 to 5 in version 0.22.
c:python370_x64libsite-packagessklearnmodel_selection_search.py:841: DeprecationWarning: The default of the iid  parameter will change from True to False in version 0.22 and will be removed in 0.24. This will change numeric results when test-set sizes are unequal.